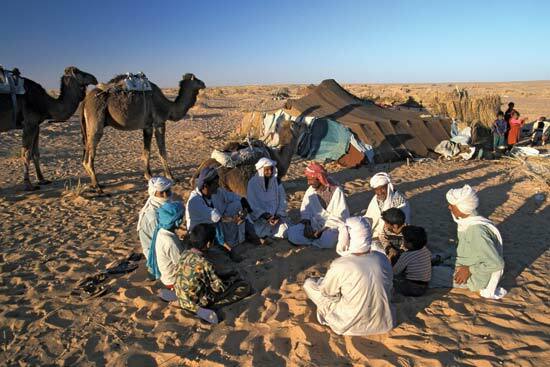 Tribalism: A Bedouin Approach ! As a real Bedouin, who still lives in a tiny gathering of a bedouin tribe, I can understand tribalism, I actually feel it as I was grown up a tribalistic one of the old age. Ages ago, as I was a sophomore at BZU, I got to have a Dutch jewish gf who wasn’t at all tribalistic like lots of her folk, but more of a human sense that was seeking the truth and was still not beguiled by the blinding truth of “ha yeshivot”. Later on she broke away and went on but still not finding the quenching truth that can justify her sense of humanity. At that time, my radical way out of tribalism was at its early beginnings and I felt it without really knowing what does it mean. My gf was still astray coming back from Europe to find its roots in the “land without people” to achieve back her tribalism that I was stepping out of. I remember I told her (even without knowing that I was talking of a big and sophisticated “philosophical problem” that is bothering the world) the jews are like us the Bedouins who cant accept others but on blood base. They are really a Bedouin tribe. They follow a book that was written by a tribesman, a leader of a tribe that was roaming Sinai which felt like a tribe to protect itself from the “civilized” Canaanites at that time. The jews, were actually a tribe that invaded the Canaanite Kingdon from the peripheries to swing in slowly to the center of the dying out Kingdom of Canaan. They (just like us, the bedouins) were (actually are) a tribe that never accept the others but on the base of blood. No one can be a jew if not born for a jewish mother (father in the bedouin case) and if there was doubt about it, he got to prove it in a way or another, or pass a long and tiring approach of Talmudic “yeshivot” and courses that drives him crazy at the end rampaging the land of Canaan, like my x-gf did and succeeded finally to run away (purely jewish) out of here back home to stay years looking for a jew husbands to ensure that her son wont become “geniles” all their life. Finally she succeeded, and got her husband but swung deep in the tribalistic approach into the zionist mentality of the “chosen people”!!!! See!!! finally there are some similarities between the jews and the Bedouin!!! Funny but sad!!! Tribalism is a strong feeling of identity to ensure a strong loyalty to a self-esteemed group of people based on blood. In this sense, I am already out after a long path I passed of mental maturity, however, the zionists are tribalistic after passing a long path of Talmudic “yeshivot”, seminars, courses and Halacha circles that take them back to the time of Moses “their ancient big sheikh” and finally they got out proud of being one of the “chosen people” who are superior to all the gentiles!!! And this is exactly what my x-gf did to ensure her sense of self-esteem as a “pure” jew!!!! But, when a tribalistic comes to me and look me down I can never accept him as a human and accordingly will retreat back to my tribalistic nature to protect me from the tribalistic invader!!!! Tribalism is infectious: All the people used to live here peacefully in one land and culture till the tribalistic Zionism (or what my jewish brother Naim Giladi calls "Cruel zionism" ) came and poisoned the atmosphere. In all the arab countries there used to be hundreds of thousands jews living successfully and peacefully. Iraq, just 80 years ago used to have hundreds of thousands jews some of them hi ranked in the government and society, Ministers, singers, musicians, merchants, doctors…..etc What happened in hell????? isn’t Traibalism = nazism = Zionism???? Any way, I took a radical way out of it!! !